with appearances from surprise guests. Please join us at The CASIO® Gift of Music on December 9th, 2014 at The Hard Rock Café. DRU, KIM DAVIS, AUGUST, JD ERA, TRINITY CHRIS, NAJJAH CALIBUR, SANJ’NA, NvS, CHACH, ASHTON MARTIN, SAVANNAH RE and TAMARA MADISON, PHOENIX REVOLUTION STTEELBAND with appearances from several surprise guests. 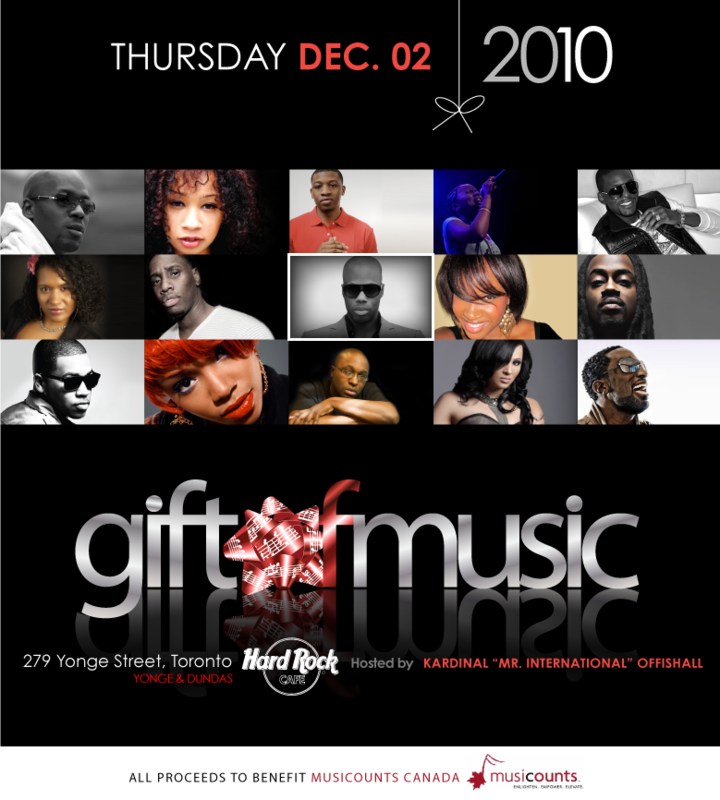 Please join us at The CASIO® Gift of Music on December 19th, 2012 at The Hard Rock Café. Omar Lunan, Yosvani and MORE! JOIN US IN AN EVENING OF UNPARALLELED MUSICAL ENTERTAINMENT WITH THE OPPORTUNITY TO GIVE THE GIFT OF MUSIC TO GENERATIONS TO COME! 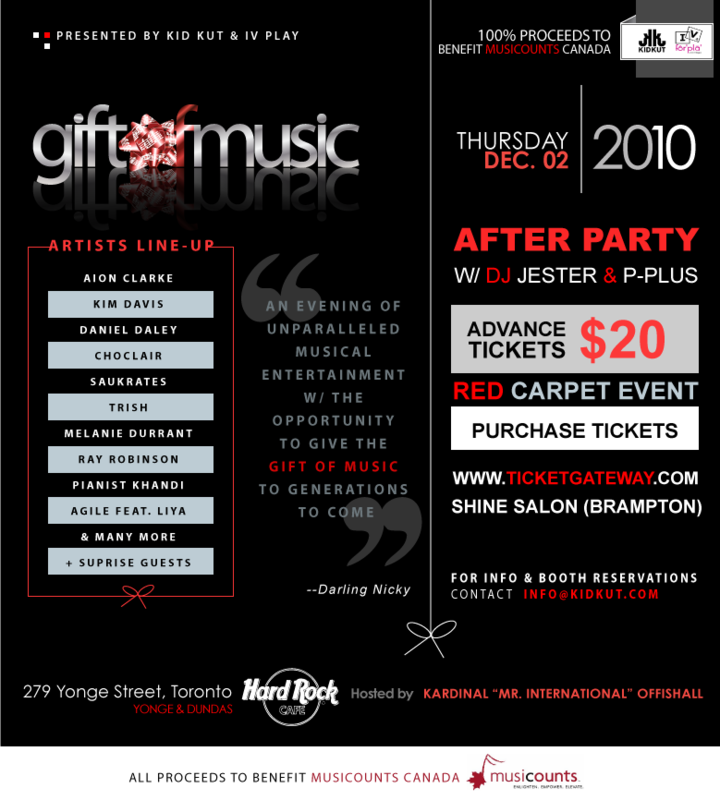 All Proceeds benefitting MusiCounts Canada, associated with CARAS, a charity based organization that focuses on supporting music programs in schools across Canada.